Before I explain the science behind Pranic healing, here's an interesting analogy between Pranic healing and technology. 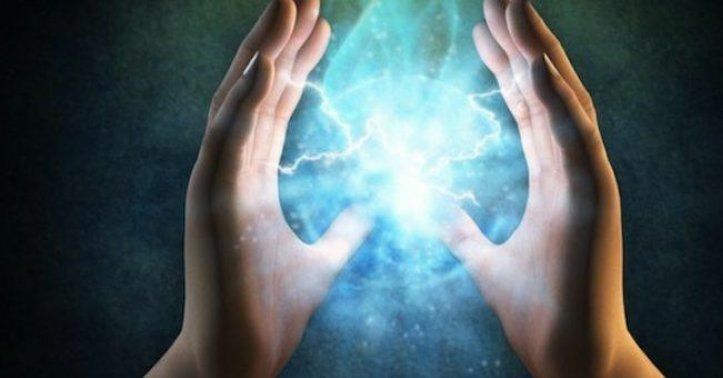 Just as there are many sound/energy frequencies floating around us that we can't see, there is an energy body surrounding every living body that cannot be seen or felt. The science behind Pranic healing - What really is it? To understand the concept better, consider the instruments which detect resistance and current in a wire by measuring the regularity in the electromagnetic field outside the wire. Similarly, a current flowing through the body forms a bio-electromagnetic field around the body. This is called the Aura. The auric field around the body is the container that holds prana or life force. Furthermore, this is comprised of several layers. The outermost layer of life force energy is termed as the Outer Aura. Its function is to hold the energy that our body acquires through various sources. Inner Aura is the innermost layer surrounding the body and contains all the body parts in form of energy. Any change that happens will happen here first and then it will manifest itself in the physical body. Furthermore, there are 11 chakras in our body. The chakras are similar to the physical power plants, transformers, and wires. They spin in two directions while inhaling fresh clean prana in the process and expelling disease prana. In this way, they supply life force to our internal organs. In conclusion, our bodies have an innate capability to heal themselves. In addition, Pranic Healing simply accelerates the healing process by increasing the life force or vital energy in affected part(s) of the physical body. Finally, Pranic healing has been successfully used to revitalize and heal many psychosomatic and physical ailments. In fact, the science behind Pranic healing even allows one to heal relationships, careers, finances, and much more! This article was contributed by Mr. Rajneesh Raheja. Mr. Raheja is a professional Pranic healer with Life Positive. He is a passionate healer with many years of experience of the science of energy healing. To address mind, body, relationship, and other well-being issues, connect with him HERE. May your life be filled with immense positivity!